Android 6.0 Marshmallow’s slow but steady release continues. Today Bell pushed out the latest version of Android, 6.0 Marshmallow, to HTC One M9 owners. Marshmallow brings a variety of new features to Android, including Google Now on Tap, a contextual search platform, a complete visual overhaul, and Doze, functionality that allows Android 6.0 devices to enter a sleep mode that uses less battery power. Back in December HTC released Marshmallow for its HTC One A9 smartphone through the company’s various carrier partners. 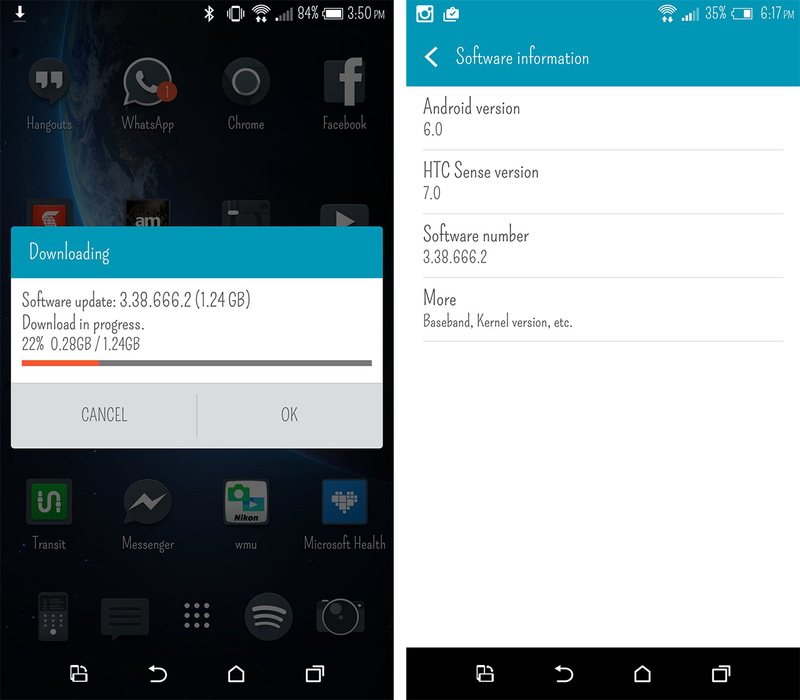 Earlier this month, Rogers, Wind Mobile, Videotron and SaskTel released Android 6.0 for the HTC One M9. To launch the software update, navigate to Settings/About/Software.